Click video's title for view options. Go to Job Aids & Training Materials to watch shorter segments. My-UI-Financials is a report distribution system. With My-UI-Financials, you have quick access to all of your financial and payroll reports, in one place. Your College or Department's Report Assigner is responsible for granting and maintaining access to My-UI-Financials in Access Manager. 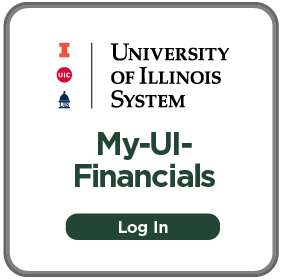 Email myuifinancials@uillinois.edu to get connected with your report assigner. Access Manager is the application where report assigners can add, modify, or delete a user's access to My-UI-Financials. If you are interested in more information about My-UI-Financials, register for the next monthly webinar. IMPORTANT! FY19 activity posted in July will not be displayed until July 30. Report viewing permissions for state funded and work study CFOPs will roll to the new year fund code on July 1. No action is required by report assigners.